I don't see why anything would need to be pushed back significantly, a few weeks at most. This isn't an ideal situation and could well attract unwanted publicity, but won't affect future developments. Although I'd still be incredibly surprised if the hotel opens completed at Christmas 2017, but that's a separate matter. Apparently Heidi won't open till Easter 2017 now. At least it should open complete with all the theming. Huge shame for the park after the big push they've put into marketing it lately. But yeah, at least getting it open with all the theming will happen, which is a big plus. I don't when I'm going. But when I go, I want to experience Heidi. Plopsa have now officially confirmed it won't open until Easter 2017. I wouldn't worry too much; I don't think it's fair to say that they're even off their feet. Obviously the park will have a bit of bad press go there way and it will be a stressful time for management, but I can't see them particularly struggling this year. 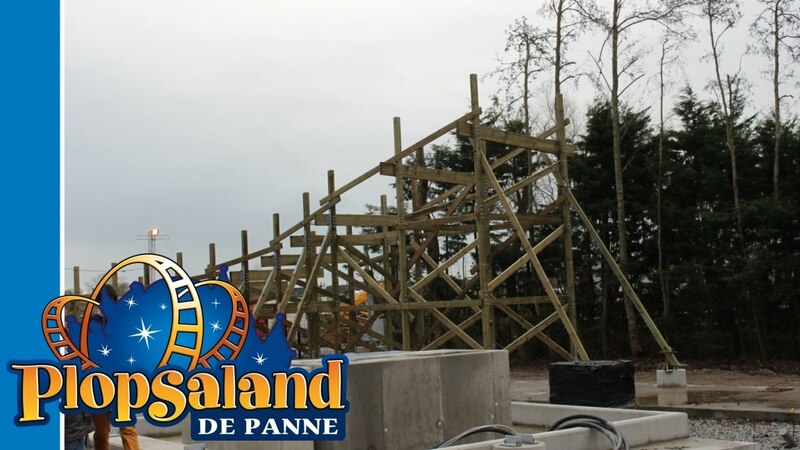 Plopsaland have revealed that during this saga, there's been 8 formal complaints about the lack of environmental permit, as well as general noise and traffic issues. They have, however, also received formal letters of support. So in other words, nothing to worry about, they'll get a new permit and all will be fine. Not the prettiest looking view from the car park, but I guess could potentially make the experience a bit more fun? Certainly an interesting sound barrier, but if this makes the difference between the ride being opened and closed I have no problem. Judging from the pictures, it seems to be more of a high fence in places opposed to enclosed sections of track. The greatest park border fence ever made! That'd be because it is just a fence! The ride is on the outskirts of the park and faces towards the local area. Seems like a fence will be enough to repel the sound back, and away from locals. So it won't have the same effect as a tunnel, but hopefully a similar one. As expected, Plopsaland have gotten a new environmental permit with no issues. 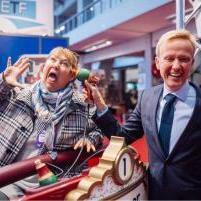 For example, Plopsaland De Panne in De Panne, Belgium, has a new virtual reality wooden roller coaster called “Heidi The Ride.” It reaches speeds of more than 43 mph. looks really neat to be honest, a vast improvement from how it looked in July. Hoping to get too Plopsa this year, Looks a great little park! I love the look of their waterpark too! 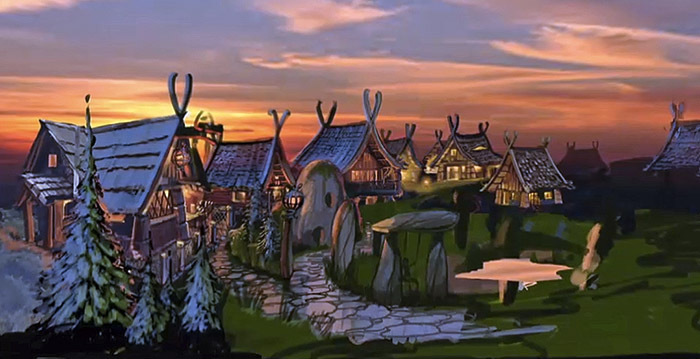 Plopsaland are not only building a new hotel, but a new holiday village too. Apparently there will be 150 lodges amongst pitches for caravans. This area will be located behind the park and is said to utilise the existing Wickie theme as well. The first phase may be ready for next year when the park will also open their Theatre themed hotel. It's great to see Plopsaland investing so much into the park lately and I'm sure will be a hit for them. They haven't even built the sodding hotel yet and they're expanding the offerings? Work is progressing on the small children's ride nicely. Personally I'd say this seems to be their best theming to date; definitely looks like there will be a lot more smaller details here than anywhere else in the park. I like it. Seems to resemble the style of Klugheim a little, although perhaps a little more quirky however. It's great to see Plopsa but so much dedication and effort into their recent projects. 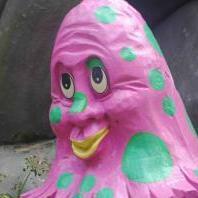 ^Wickieland is a bit of a weird one for me. It IS good, but parts of it feel...not right? I like it, but something just doesn't quite fit for me, and I can't put my finger on it. Anubis is fab though. On Heidi-related news, it's be revealed that Heidi can't run past 7pm at any time (due to noise restrictions / environmental permit). The park is only open past 7pm on 7 days this year, but it closes at 7 pretty much all of summer. Don't know how much of a problem it'll cause long-term, but it's a shame that the chance of night rides on it are now basically zero. I have visited this park over 30 times, once immediately after a nocturnal ferry trip Hull - Zeebrugge (we then had a very calm pre-Easter holiday at Alton Towers and Drayton Manor). The park isn't that far away from the ports of Zeebrugge, Calais and Dunkerke. By public traffic, there is a direct tram connecting the park to all villages and towns along the Belgian coast (like Ostend). The park also has a train station 'De Panne' which is directly connected to towns like Ypres (First World War, anyone?) and Ghent. 1. Very poor capacity (esp. their Mack water coaster 'Super Splash', the powered Mack 'Draak' and the childish Vekoma coasters 'Victor' and 'Rollerskate'). 3. They try to get money out of you by any means, e.g. 'professional' photographers accompagnying dressed characters and avoiding you of taking your own pictures with the characters. Never a nice way to enter a theme park, in my opinion. 4. Children from 85 cm have to pay an entrance fee. Mostly in Belgian and Dutch theme parks, they get in for free up to 3 or 4 years or up to 1 m.
If you Brexiteers (sorry!) come by car and think to visit several theme parks on the continent, you might consider buying a Plopsa Fun Card. This allows you to visit all 5 of the (dry) Plopsa Parks without limitations during one year. Their most thrilling park is Holiday Park (Sky Scream and Expedition Ge-Force!). Plosa Coo is rather small but is situated in an stunning natural environment and it might be on your way to (or back from) Holiday Park. 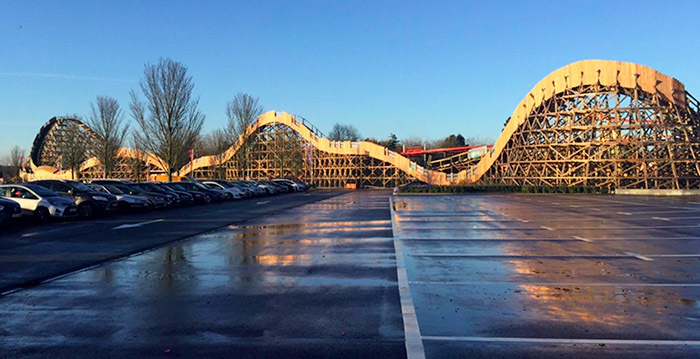 It has one of Europe's best outdoor spinning coasters 'Wickie'. The other two Plopsa parks (Hasselt, Belgium and Coevorden, Netherlands) are smaller, mainly indoor and made for smaller children. Don't waste your time here, unless you travel with young children (< 6 years). The Plopsa Fun Card will let you visit many other parks at a reduced fee. Among others their own Plopsaqua (-40%), nearby theme park & zoo Bellewaerde (-40%), Movie Park Germany (-40%), Walibi Belgium (-40%), Bobbejaanland (-50%), Bagatelle (-40%), Phantasialand (- 40%) and Europapark (-40%). 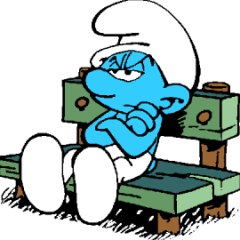 Try to avoid the school holidays (mainly during late spring and summer) in Belgium and Northern France. During the Halloween period it isn't always that busy, as the park aims mainly younger children. Plopsa De Panne is the only main Belgian theme park which is open between the end of Halloween and Easter: every weekend in November and December and two weeks around X-mas and New Year. Please note that only the indoor part 'Mayaland' (no roller coasters or thrill rides here) is open in Jan., Feb. and Mar.